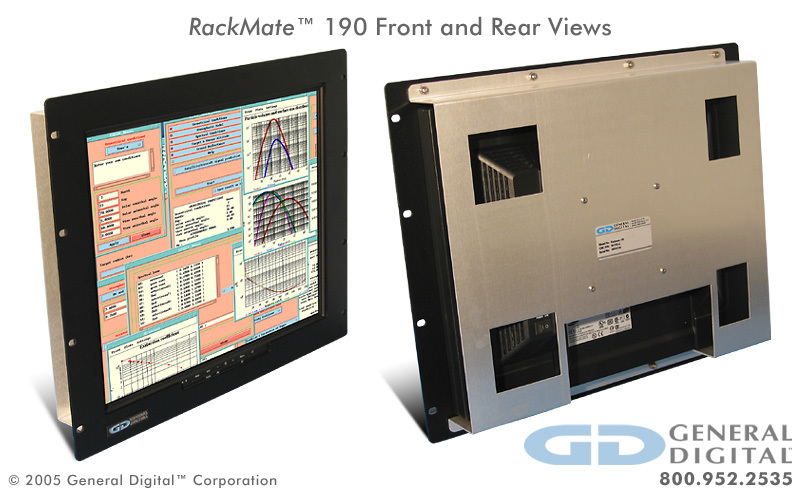 Vibrant LCD screens from 15.0" to 19.0"
All standard RackMate rack mount LCD monitors support non-interlaced analog video (separate sync). 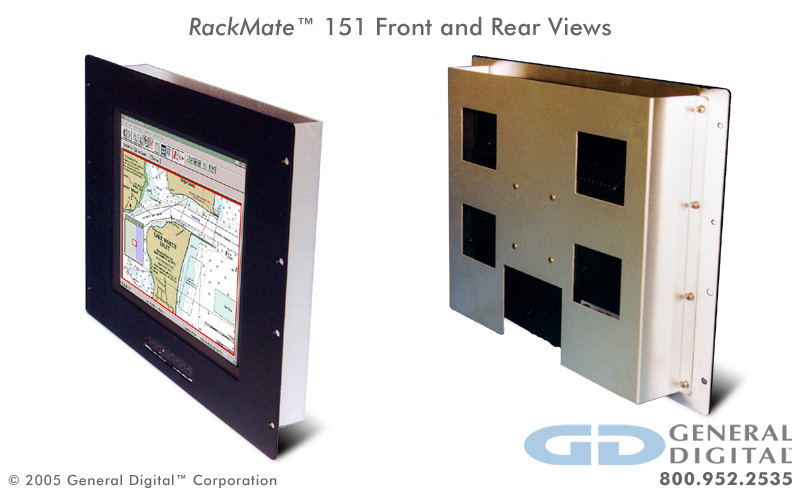 The RackMate’s display and electronics are housed in a durable, plastic enclosure that is ideal for commercial and light industrial applications. The plastic construction is intended for high volume production and minimizes both cost and lead time. 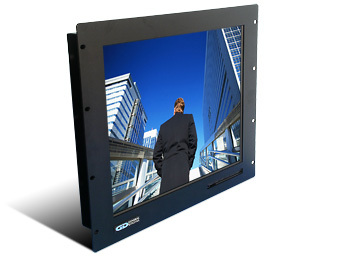 A metal mounting frame and rack mount (flanged) bezel facilitate integration into 19" racks. The standard bezel is finished with a black powder coat, although other colors are optionally available. The RackMate has been optimized for mass production and cost efficiency. 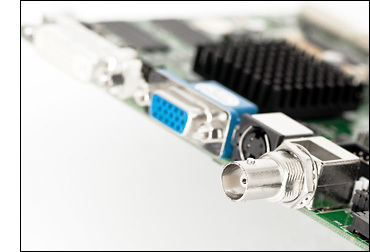 As a consequence, the design does not offer the same level of flexibility as its sister product, the Saber RackMount. However, General Digital can still offer some limited customization to the design. Please speak with a Sales Engineer for additional information. 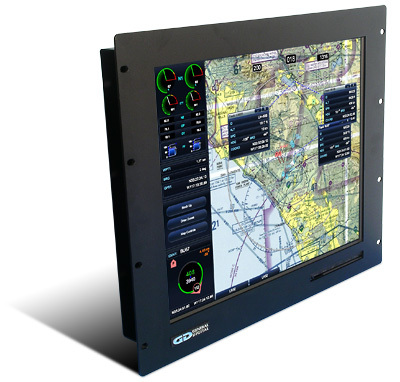 In order to reduce both cost and lead time, General Digital modifies high volume LCD monitors intended for the desktop market and integrates the assembly into our final product configuration. Unlike the Saber RackMount (whose components have multiple sources of supply), the RackMate is affected by the life cycle of a single commodity product, which is typically 18–30 months. Although it is possible that the commodity monitor will be replaced with a “like or equivalent” model, it is completely subject to market availability and popularity. 500:1 16.7 Million 50,000 Hours ±80°/±70° 0°–45° 14.00" (8U) x 19.00" x 2.63"
600:1 16.7 Million 50,000 Hours ±85°/±85° 10°–40° 15.75" (9U) x 19.00" x 2.53"
The photos below represent a small sampling of General Digital’s RackMate LCD products. They serve to illustrate the many display sizes and mechanical configurations we offer, as well as standard and custom design features, capabilities and options. Click the thumbnails to view full-size photos.